When There Are Shower Doors Who Needs Curtains? Temperglass USA will show you the way. You may find your new house perfect, except for the shower curtains. You want a shower door instead. If you’re living within the vicinity Coral Springs you can ask for their help and they’ll come at once to extend to you a same day service. Temperglass’ Shower Doors Coral Springs Services will ensure that your shower curtains are out for good and their Temperglass shower door will be installed just the way you want it to be. When you deal with professionals, you’ll not only get prompt service but quality job delivery. Shower Doors Coral Springs Services will have no trouble at all in responding to your call since they have enough technicians to get the job done faster than all other companies. And, as always, they have a large stock inventory of Shower doors Coral Springs in different colors, sizes, and designs. It’s not difficult to go over the computer to look for the specific item that you want. It’s all at your fingertips. You’ll get the service that you deserve and materials that will last a long time. They’re more durable, more beautiful, less cumbersome and more sanitary to use than shower curtains. Depending on the size of your bathroom, you have four options which will make it comfortable and convenient for you to use. The sliding door is ideal where you have a big place. The glass door should slide over a permanent glass paneling; perfect for easy entering and exiting to bathtub area. The pivot or swing type, the most widely used door systems, is also an excellent choice where space is no problem. If you have a steam shower in your bathroom, the steam door together with the over the head cover will help maintain the steam inside the cubicle so that you can enjoy it longer. And still another type of door is the bathroom screen door. This will give you the ultimate entry and exit because of its three sliding panel door combination. Temperglass’ shower doors Coral Springs add a touch of beauty to your bathroom; a class act. For most homeowners, bathrooms are built for utility and seldom for beauty. But times are changing and homeowners have come to realize that the bathrooms need to look like the rest of the house: attractive. A Temperglass shower door is the answer to that challenge. They’re available in several attractive colors and impressive designs. This is the cheapest renovation project you can install to improve your bathroom but still deliver something that’s not only practical and useful but totally unique and wonderful. It’s difficult to understand why it took so long for this type of product to be invented. But now that it’s here, be one of the first to own one. So if it’s a superior shower door you want, it’s Temperglass USA’s Shower Doors Coral Springs Services, which you need to contact. It’s time for your bathroom redemption and it should be your first priority if you haven’t done so. 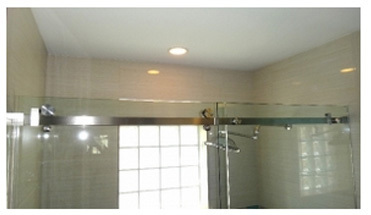 Call now and order your Temperglass shower doors. They’ll put life into your bathrooms.